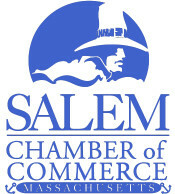 The Salem Chamber is a strong proponent of regionalization and regional cooperation, and belongs to a great number of regional initiatives and organizations. We work with our fellow Essex County chamber organizations in what is to be called the Essex County Chambers of Commerce Collaborative Regional Initiative to highlight strengths throughout the region, engage in discussions about Chamber missions and goals, and to start the process of real and meaningful regional business collaborations. The Chambers represent a large cross section of the North Shore business community. Lead by the Salem Chamber of Commerce and the North Shore Chamber of Commerce, Chamber Executives are charged with working together to create and promote business opportunities and events, share best practices, and speak with one voice on issues of importance to the North Shore. Together, the Essex County chambers of commerce will provide visionary business leadership in the areas of membership, economic development and regional collaboration and promotion. Chambers of Commerce are key to identifying and integrating emerging business needs into regional priorities. With the leadership of these Chamber Executives, the group will provide mentoring and education to each other to encourage a greater role for Chamber collaboration.